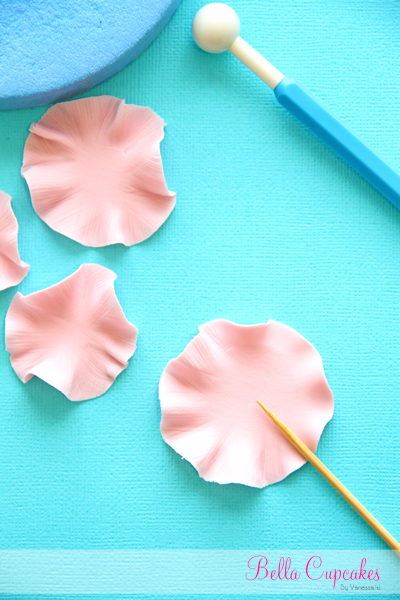 I've gotten quite a few emails asking me how I make my ruffle flower, so today I thought I'd share. Below I've made up a tutorial for all you lovelies to try. 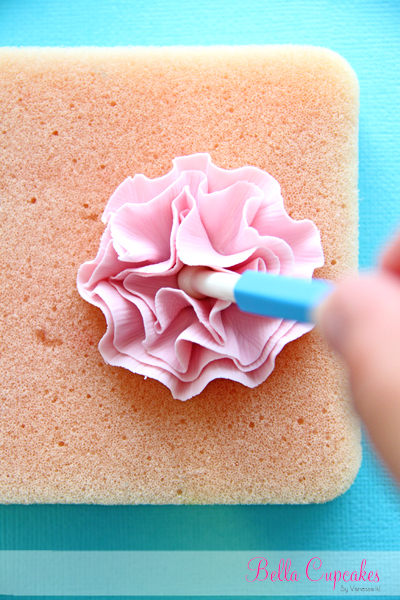 The ruffle flower is super easy to make and looks really pretty on a lovely swirl of buttercream. 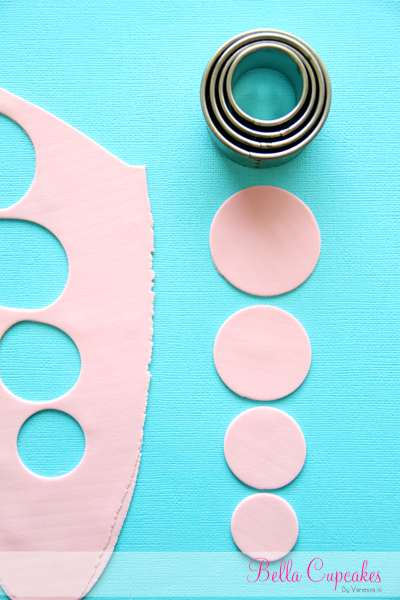 Roll out your fondant and using circle cutters cut out 4 fondant circles. With your cocktail stick run it alone the edge of the circles to create the ruffles. 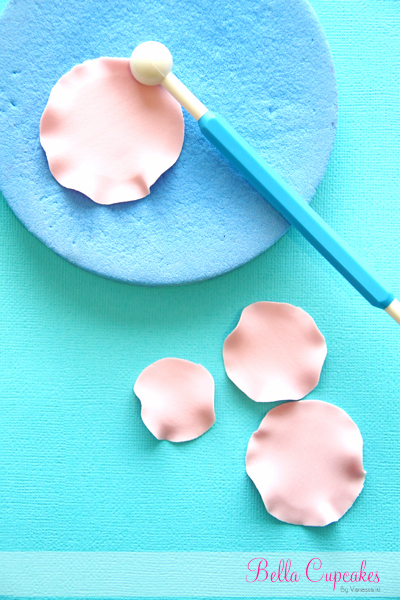 Place each ruffle fondant circle on top of each other and place onto your shaping foam. I use a tiny little bit of water to glue each layer together. 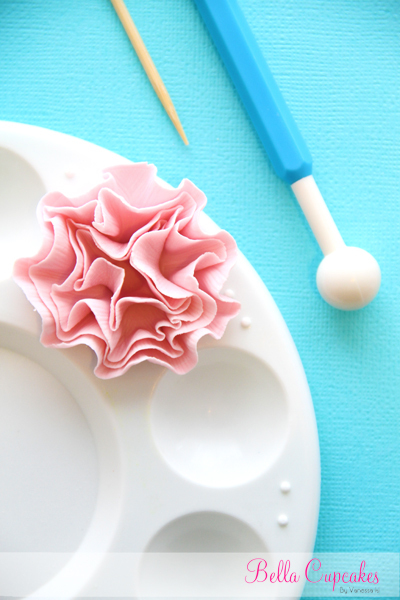 Using your small ball tool, gently push into the center of your ruffle flower. 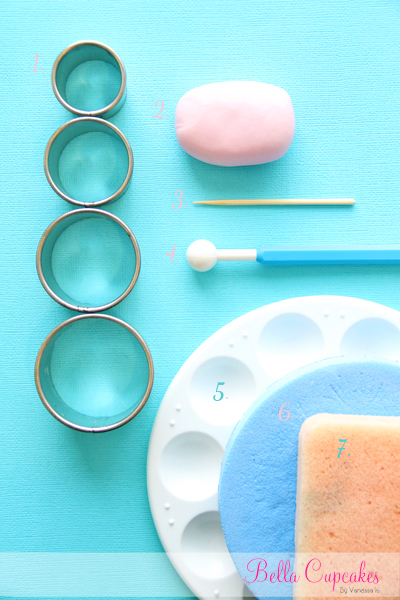 leave to dry overnight and they will be ready to use on your cupcake. 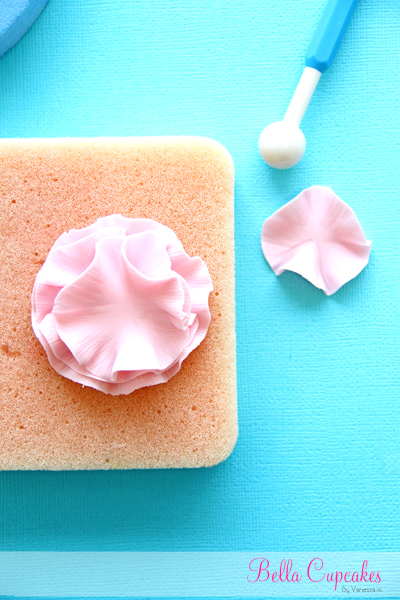 Pipe some buttercream onto your cupcake and place your ruffle flower off center. 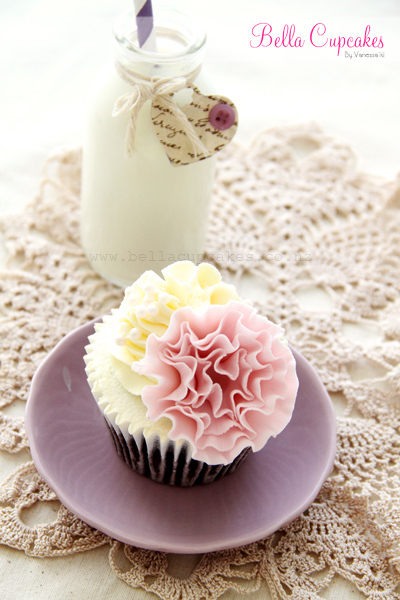 And there you have a gorgeous fondant ruffle flower cupcake. I hope you have found my tutorial easy to follow and useful. As I said they are really easy to make and really does pretty up a cupcake. Hope you have fun making these!! thanks so much for sharing your wonderful talent! Awesome tutorial! Thanks so much for taking the time to share! Always wanted to know how to do this... thank you very much for sharing. Absolutely beautiful!!! Stunning addition to any cupcake! Your work is so gorgeous. Please post more for us. Much appreciated. Great to see how you do your rufle flowers. I am wondering if you'd be able to do a blog post about how you do one of your amazing cakes? From making the actual cake, to the little figures, the fondant on top of the cake, icing, the small details etc. I feel a bit lost sometimes when making a cake, and hard to know where to start. I assume you do a drawing of what you want first and decide on what flavor you want on the cake. Then making the little figures? 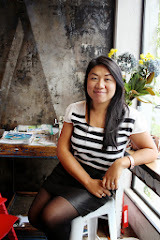 Thanks for an awesome and inspiring blog! Me encantó!es hermoso tu blog!! Thank for your tutorial, i can't wait to give this a go. This is a fantastic tutorial - thanks so much for sharing. You seriously make some of the most beautiful creations! Wow I have never tried this but I think I might have too! They are beautiful. †ђąηk ўσυ‎​ you for your thorough tutorial. Can you let me know the ratio between fondant and CMC? And when you add the CMC is it still edible? †нªηк's b4 for explaining. hi thank u for that and just curious where can I get fondant or how do I make perfect fondant thank u. Love these! And a super easy tutorial to follow. Thanks!